DSi LL - Deka we get, but Comfort? A few eyebrows were raised when Nintendo named their oversize handheld the DSi LL, and, according to company president Satoru Iwata it could have been called the DSi Comfort instead. 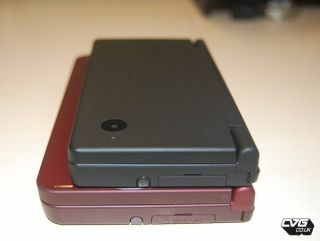 Nintendo DSi LL features a 4.2 inch screen -- making it significantly larger than its DSi brother. In the latest Ask Iwata blog, the naming process for the DSi LL is discussed along with some of the options. Let's face it LL is a pretty poor name, but thankfully it's better than some of the options – with DSi Comfort, DSi Executive and the pukeworthy DSi Living discussed. However, if another Nintendo legend, Mario creator Shigeru Miyamoto had had his way it would have been termed DSi Deka – which is Japanese for large. We'd have plumped for DSi Wristbreaker, or DSi Book.